Located within the city limits of Mangaluru, a popular education hub, Sahyadri College of Engineering and Management is a serene campus, offering undergraduate and postgraduate programs in Engineering along with MBA and Doctorate degrees. Established in 2007, the institute has created a niche in the higher education sector. The last bell of the day rang at five o'clock in the evening and Sahyadri College of Engineering & Management quickly overflowed with hundreds of energetic, loud boys and girls.The noise soon moved outside and scattered in the 30 acres of the picturesque campus situated on the banks of River Nethravathi and adjacent to Mangalore-Bangalore National Highway. For Sahyadrians, it would take only 9 kms to reach the port city of Mangalore, which is full of life with the growing number of entertaining spots that allow the youngsters to have fun and relax. However, hardly anyone has left the Sahyadri campus for those amusements. Young athletes wearing a yellow jersey with Sahyadri's green logo on the chest have already occupied the sports ground that houses a 400 meters athletic track. After eight hours of academic learning in the classrooms, a rigorous practice in the dusty field under the guidance of dedicated physical directors could not have been more exhausting, but they do not look tired. They are all focused on one goal; retaining the VTU athletic meet championship that they have been winning consecutively since last few years. "Sports is not just a recreational activity for us, it is a part of our curriculum. Now, almost all the university level records are in the name of Sahyadri," says Dr. Umesh M. Bhushi, Principal, Sahyadri College of Engineering & Management. When the intensity of practise reached at its peak, some onlookers turned their faces from the ground and started discussing something more serious. They have come in groups, but two people never talked at the same time there. It looks like an active boardroom level discussion without a roundtable; each one of them took their time to tell their opinions and gave ears to listen carefully. Similar groups can be spotted in every corner of the Sahyadri campus that has built like a big courtyard. "Like sports, research and entrepreneurship are the buzzwords of our college now. Here, everyone has got an idea and we support them to make it a reality," says Dr. Bhushi. Sahyadrians have very optimistic views about being a student entrepreneur. They have never felt that most of the people they met - be it faculty members, industry mentors or the college management - lacked the confidence on what they have been trying to do. Hence, entrepreneurship has taken deep roots in the Sahyadri campus. "In the last few years, there has been a change in aspirations of students. Employment has become a secondary option for many," opines Dr. Bhushi. Being a student entrepreneur - balancing academics and business at the same time â€“ is not an easy task. However, it has its own benefits; one can an always take that risk, learn and fail. Some of the projects that they have launched include FREEDOM - Smart Helmet, EDGE - the augmented reality based educational software and DREAMKIT - a complete hardware kit. "Smart helmet designed by two of our engineering students got the 'Best Young Innovators Award' at the Innovation Initiative competition organised by the Indian Institute of Technology, New Delhi," shares Dr. Bhushi. The competition had received around 2,700 entries from all over the country and Sahyadri's Smart Helmet was one among them. After screening, 76 were showcased in the competition and the top nine were selected based on technical feasibility, market potential and the impact on the industry, society and environment. Today, the fifth floor of Sahyadri, where the management has set up 20,000 sft incubation space, is a breeding ground for the young entrepreneurs and innovators. It is not only open 24x7, but also extends its services to the student for a period of 24 months after graduation. For Sahyadri's start-up founders, therefore, the 'student card' does not expire soon. "Today's generation study engineering, but they do not feel it. We want our student to feel engineering and enjoy their learning here. There is a purpose for education," says Dr. Bhushi. Those who enjoy the education are the ones who innovate. Sahyadrians are a great example of it. "Majority of the colleges in India are affiliated to some or the other universities. Many of them only focus on academics, which will give us engineering graduates, but not engineers. Our focus is to create real engineers and managers who can contribute to the society through their knowledge and wisdom," says Dr. Bhushi. Sahyadri does not follow rote learning. Instead, they give hands-on experience in whatever they teach. Dr. Bhushi adds, "The university has given us a curriculum of 30 hours a week. But, we have 39 hours of class and we use this extra nine hours to conduct Project Based Learning and value added programs." Learning at Sahyadri happens in a project-oriented setting with an environment for students to work in groups. This enhances communication, collaboration and teamwork skills without compromising initiative, creativity, and personal responsibility. Dr. Vishal Samartha, Director of MBA programs at Sahyadri says, "Our intention is to provide high quality managerial talent with a mindset for success in a turbulent economic environment. With this philosophy, we cannot follow the traditional methodologies. We have introduced Project Based Learning to provide in-depth understanding of business concepts." Dr. Samartha has worked as a member of the Local Inspection Committee for affiliation, extension of the affiliation and establishment of research centres of VTU affiliated engineering colleges and has a perfect understanding of what it takes to build a quality institution. She says, "The market scenarios are continuously changing now. Every institution needs to reinvent their pedagogy and provide something more than the prescribed syllabus if they want to make readily employable graduates." To provide the much needed 'beyond-the-syllabus' experience to the students, Sahyadri has tied-up with many reputed academic institutions as well as industry bodies. Ghent University of Belgium, University of Pardubice Czech Republic, IIIT Allahabad, ISRO, NITM, AIMA and NEN are the few to name among them. This has given tremendous boost to the students for innovation, research, certifications, internships and hands on experience. When it comes to the facilities available for students to work beyond their textbooks and classrooms, Sahyadri has made an investment of more that Rs. 12 crores. There are various centres-of-excellence and laboratories with ultramodern features to conduct cutting-edge research activities in the campus. "We do not teach Nano Technology as a discipline, but we have a centre-of-excellence in Nano Technology. Because, we know that it is going to be the future. This shows that the college management is very proactive in taking the necessary steps to produce quality outcomes," says Dr. Bhushi. Thanks to Bhandary Foundation and its Chairman, Dr. Manjunath Bhandar whose novel thoughts have add a new dimension to the world of education. Under his dynamic leadership, Sahyadri has created new benchmarks in the field of education. He has received the prestigious Eisenhower Fellowship from the Eisenhower Foundation, Philadelphia, U.S.A and Eminent Engineer of the year Award 2016 by The Institution of Engineers (India) for his meritorious services in the field of Education and social activities. "Dr. Manjunath Bhandary is a great Visionary, Educationist, Entrepreneur and Social worker," says Dr. Bhushi. "He has travelled to more than 90 countries and visited all the major universities. He is someone who knows what exactly needs to be done and when it has to happen. He has never said no to anything." Since the establishment of Sahyadri in 2007, the Bhandary Foundation has worked hard to create a niche in the field of higher education. From the reputation Sahyadri is able to build in a short span of time, it is easy to infer that they have been highly successful in their mission. "Recently, we were accredited by the NAAC with 'A' grade. As faculty members, we have not had to do much about it, because everything was well documented from the beginning. Here, everything is system driven and absence of a leader for a period of time will not halt anything," says Dr. Samartha, who has been a part two NAAC cycles in her career and knows its complexities. Today, Sahyadri not only attracts students from Karnataka. They are also gaining popularity in southern states like Kerala, Tamil Nadu, Andhra Pradesh, Goa and Maharashtra. However, Sahyadri will not be a good option for those who consider scoring high marks as the only viable solution to achieve a prolific career. Because, Sahyadri is an epitome of modern day institutions where a student's performance is assessed both on an individual and group level, instead of testing the academic merits of each student. That is why Sahyadri stands as an island of excellence in the sea of mediocrity. The institute is headed by Dr. D.L.Prabhakara, an eminent academician and administrator having 40 years of experience with active involvement in research activities. He has his post graduation from IIT - Madras and Doctoral degree from IIT- Kharagpur. 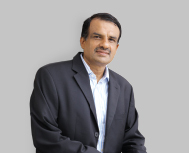 Dr. Prabhakara is a reviewer of reputed national and international journals. He is also an author of the book titled 'Graphic Statics'. He has served in the academic and statutory boards of almost all the universities of Karnataka including VTU and was a Member of the Executive Council of VTU, Belagavi. He is an eminent academician and administrator having 26 years of experience with active involvement in research activities. He has his Post Graduation and Doctoral degree from IIT- Kharagpur. He has 69 publications in National and international journals & conferences. She has 20 years of experience in teaching and more than 9 years of experience in Research. Her research papers are published in refereed journals and presented papers in national and international conferences.